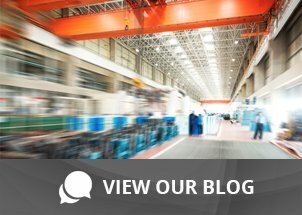 Industry Approach to Android | Taylor Data Systems, Inc. However, companies caught up in the transition are concerned about the upcoming changes, and some are fearful about making the wrong technology decision. Most companies want to avoid making frequent technology changes because of the expense and potential risk involved, but in this case, there is a simple solution. Some manufacturers, such as Honeywell, offer mobile devices that use dual operating systems. These devices run both Windows Mobile and Android, so you have the best of both worlds. You can use the devices now on a Windows Mobile platform, and they will operate seamlessly with your existing hardware and software applications. This takes some of the pressure of having to switch everything over to Android if you are purchasing new devices. When the time to make the change comes, you simply boot to Android rather than Windows, and the same hardware is now operating in the new environment. As you work to refresh your fleet, be sure to look the ones you choose offer the capability to operate with either platform. This not only makes migration from one operating system to the other more gradual and manageable, but also helps your team stay productive since they already know how to operate the equipment and accessories. It’s simply a matter of becoming accustomed to any changes in the software or integration that your IT team introduces. The biggest advantage with this strategy is that it gives your IT team plenty of time to create any new applications or to modify your existing software. With plenty of devices on hand for testing, they can ensure that your mobile devices operate smoothly, and they can test any changes with your existing workforce. Mobile device manufacturers are aware of the coming changes and are beginning to launch more mobile computing devices that can operate on either platform. 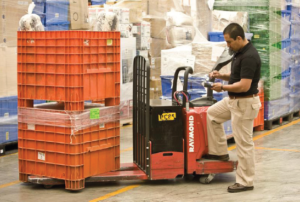 Consider the Honeywell CN75 Mobile Computer, for example, for its convenient form factor, full-shift battery life and high accuracy scanning, or the Honeywell CK75 Ultra Rugged Mobile Device, designed for extreme durability in even the harshest environments, including cold storage or field applications. Zebra devices also run the gamut from small handhelds to vehicle mounted devices, and you can easily switch many of these devices from Windows to Android over the air or using smartcards to load the new OS. If your business relies on mobile computers, and productivity and efficiency are important to you, you should be working on a transition strategy well before the 2020 end of life date. However, the decision is complex, and requires a broad knowledge of the available offerings and underlying technology as well as your business objectives. That’s why it’s a smart move to team up with a trusted partner who will take the time to learn your business and help you understand all the options for successfully managing the future changes. Contact us today and schedule an appointment with one of our team members to learn more about the options and how others in the industry are handling this change.